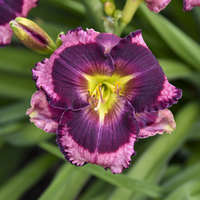 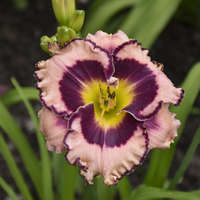 One of the most sought-after daylilies available today; winner of the 2003 Stout Medal (the highest honor a daylily can receive). 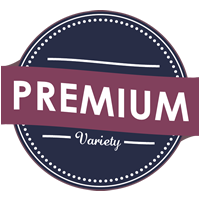 If you’re looking for the WOW! 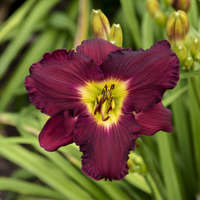 factor in daylilies, you’ve found it here with ‘Primal Scream’. 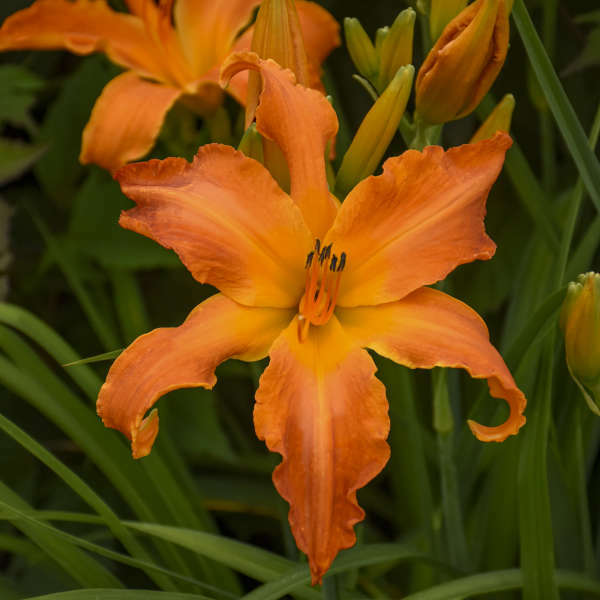 Nothing comes close to the spectacular 7½-8½ inch, glimmering tangerine orange, gold dusted blossoms and green throat of this selection. 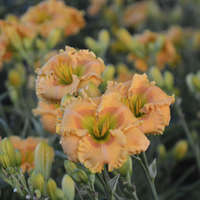 Officially classified as “unusual form”, the tepals are narrow, twisted, and recurved with loosely ruffled edges. 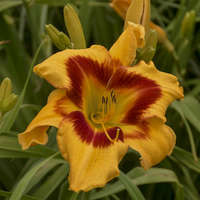 These gigantic blossoms are presented in midsummer on tall, graceful, willowy scapes above the attractive arching foliage. 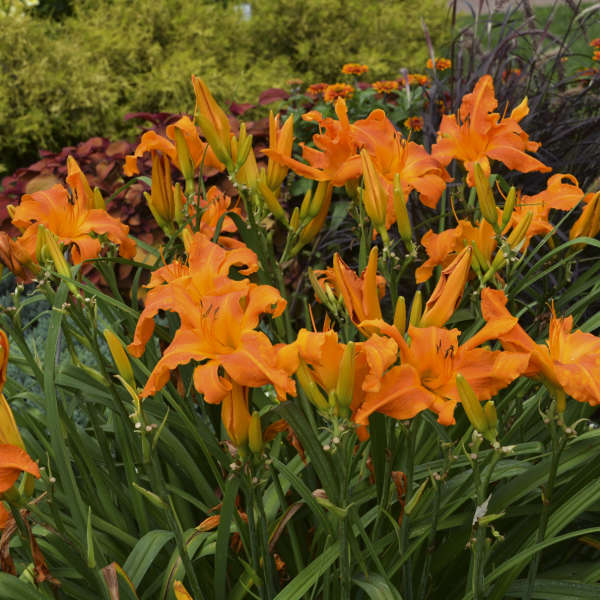 With such a distinctive presence, ‘Primal Scream’ is sure to steal the show in the garden and on retail benches when it’s in bloom. 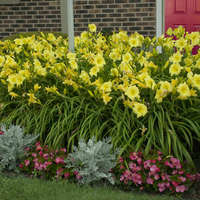 Daylilies can survive many harsh conditions that other plants cannot including: polluted city environments, slopes, poor and dry soils, near pavement that is salted in winter, and under Black Walnut trees (not affected by juglone). 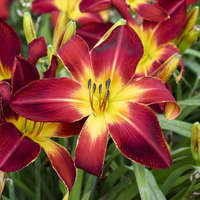 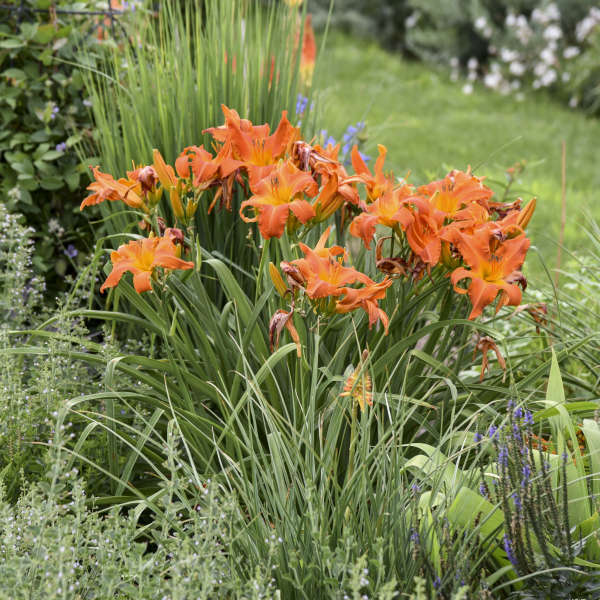 The RAINBOW RHYTHM® trademark is owned by Walters Gardens, Inc.
Daylilies are some of the easiest perennials to grow and are a good choice for any gardener, from the beginner to the professional. 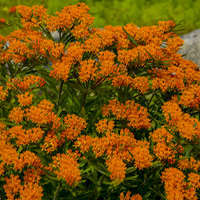 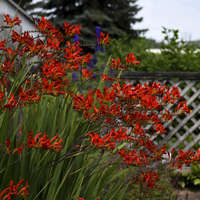 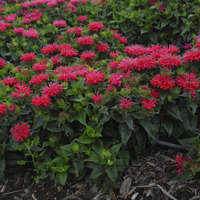 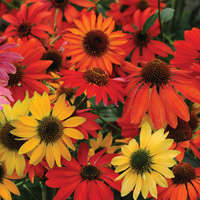 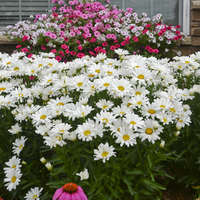 These are tough, adaptable plants that will grow in any soil, from normal to slightly wet to dry. 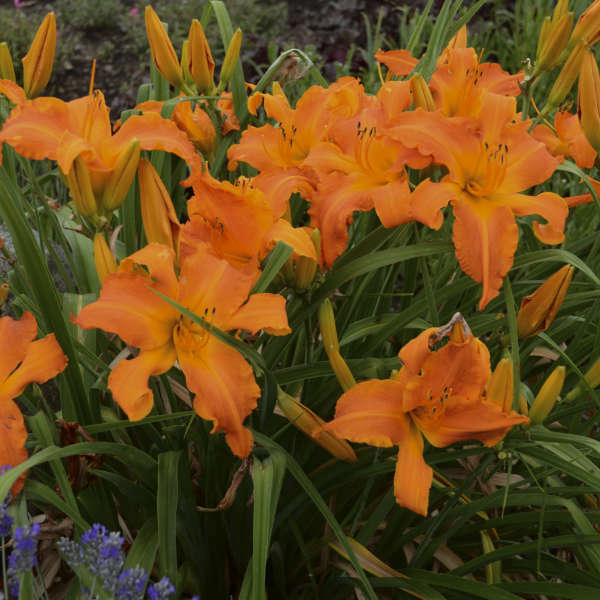 Older varieties are able to bloom if planted in partial shade, but most of the newer introductions need full sun for best performance. 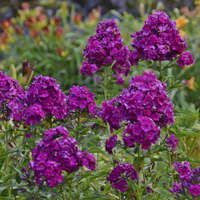 Likewise, older varieties tend to spread more rapidly than the newer hybrids. 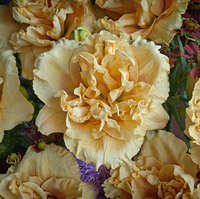 Plants should be deadheaded for cosmetic purposes, but in most cases this will not extend the bloom time.